Created in 2014, the Social Committee organizes social activities within the AGBU Pasadena Glendale Chapter. Working closely with the AGBU Satamian Theatre Group, the AGBU Young Ladies Committee and the Young Professionals, the mission of the Social Committee is to plan events to encourage younger members to join the AGBU volunteers. 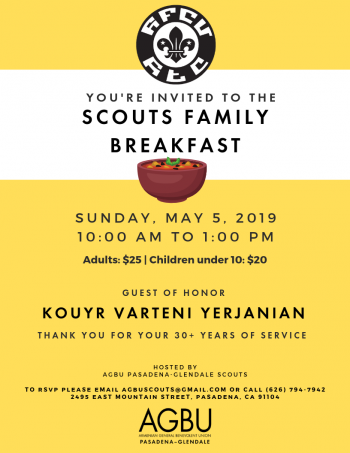 The Social Committee is where young members get acquainted with AGBU principles, goals and procedures and move forward to serve AGBU, their community and people. Since their debut, the Social Committee has taken over activities at the Pasadena center on Friday evenings hosting events such as Mante’ night and a highly successful Casino night.